This book provides a vivid biography of a towering Italian banker, pioneer and entrepreneur. 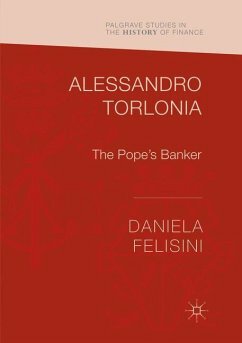 It weaves the entrepreneurial ventures of Alessandro Torlonia (1800-1886) through the narratives of business and politics in the Nineteenth century, the growth of European financial markets and the decline of Papal power during the Italian Risorgimento. The discussion is founded in rigorous historical research using original sources such as the Archivum Secretum Vaticanum papers and other official documents; the archives of the Torlonia family, and of the Rothschild bank in Paris; memoirs; correspondences, and newspapers. Through this book readers learn that Alessandro Torlonia was a man of many faces, who was one of the most complex and influential characters of Italian economic life in the nineteenth century. Felisini also provides an expert critique of the financial history of the papacy: an area of heightened interest given the notoriety of relations between the Holy See and its bankers in the twentieth and twenty-first centuries. Focal topics such as the history of European elites and the history of European financial markets will have an interdisciplinary appeal for scholars and researchers. Daniela Felisini is a Professor of Economic History at the University of Rome "Tor Vergata", Italy, where she holds the Jean Monnet Chair. An authority on Rome in the nineteenth century, she is the author of studies in banking and financial history, and on Italy's financial and economic elites. 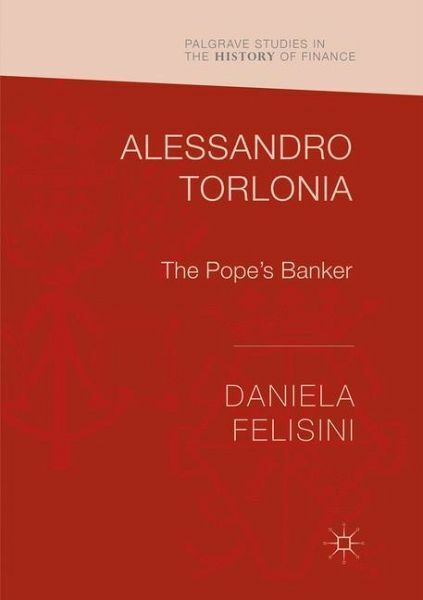 Introduction.- Chapter 1: The origins and rise of the Torlonia family and bank.- Chapter 2: Alessandro Torlonia: a passion of business.- Chapter 3: The Pope's banker.- Chapter 4: A banker of European stature.- Chapter 5: Prince and entrepreneur.- Chapter 6: Torlonia, witness to a century.